When you go on vacation, the 2 of the most important things you have on your mind is relaxing and having a good time. For many people this translates into participating in a fun activity such as swimming. Now, you may be thinking that most guests come with their own bathing suits, but the truth is that they seem to forget them more often than we would assume. Whether it’s because it just slipped their mind or because it’s been misplaced or broken, imagine the gratitude they’ll feel when they find out that the hotel they stay carries bathing suits. It adds to the services of the hotel. Another very common reason behind the guests needing a bathing suit, is because if they choose to go on vacation during the winter season, they most likely weren’t thinking about going swimming. It’s a real shame when they can’t enjoy the pool (if your hotel has an indoor pool). At Caractere, we have produced our line of Disposable bathing suits, and no, you’re not supposed to throw them away (you can recycle them) after just one use, they can last months if they’re properly taken care of, but if they are washed too many times it can start to stretch too much. We have 4 different styles: 2 for women (bikini and one-piece) and 2 for men (boxer-cut shorts and stretchy brief-style shorts). All in black, as we think it’s the most versatile and fashionable color. Lined with a comfortable, protective layer of soft white mesh fabric in the crotch area and inside the supported cups, the bust size generally corresponds to the size of the suit: A-B for Small, C-D for Medium, etc., but the cut is generous enough to allow a wide range of users to feel comfortable. The padded bra section offers complete discretion even when wet, and the elastic waist area ensures that these swimsuits will flatter your guests with a lovely silhouette. And the best thing? We have all sizes available from XS (extra small) to XXL (extra extra large). It might not seem like the most imporant thing, but it’s surely a detail that your guests will really appreciate and rave about, as nowdays only the most expensive and luxurious hotels offer this option. Are you the owner or manager of a spa, hot tub or pool, or do you provide showers and air conditioning for your clients? Make sure you are fully aware of the dangers of legionnaire’s disease and the risks to your clients, and understand what your legal obligations are. What exactly is Legionnaire’s Disease? Legionnaire’s disease is a serious disease caused by a tiny aquatic organism which thrives in warm, damp environments. It can be inhaled in fine droplets, leading to pneumonia and a high fever. As the disease takes up to 10 days to develop many other people may be infected before it is realised that anything is amiss. Air conditioning systems, humidifiers, nebulisers, ornamental fountains and many other types of equipment containing water may also be sources of legionnaire’s disease. A spare swimsuit for pool to keep the pool clean. Because of its long incubation period an outbreak is easier to prevent than to control and there are strict regulations in place to safeguard public health. The essential feature is a controlled system of regular testing and keeping water systems clean. 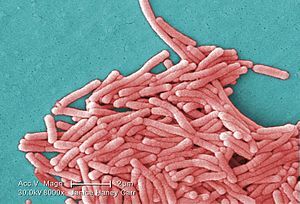 Although legionella bacteria can be found in many sources, including fresh water, it becomes dangerous when slime is allowed to develop and when the temperature reaches 35-45 degrees centigrade. According to www.hse.gov.uk, under general Health and Safety law you are obliged to maintain your water systems in good condition and assess the risk of a problem developing. This means drawing up a risk assessment, identifying potential sources of legionnaire’s disease and preparing a course of action to monitor that risk. You must keep accurate records and be able to prove you are taking your responsibilities seriously. The Notification of Cooling Towers and Evaporative Condensers Regulations state that if you have a cooling tower or evaporative condenser on site you must notify the local authority in writing. Contact your local Environmental Health department. If you employ five people or more, you must have a written risk assessment and keep careful records of your monitoring of the water system. Make sure you have a responsible person do this and that all your staff know the correct way to use equipment. Keep the system and the water clean, and avoid a situation where an outbreak could develop. Keep the water too hot for the bacteria to survive or add an antibacterial solution to prevent growth. Consider employing a firm of consultants to check your supply. these simple and elegant swimsuits are for customers of all sizes who forget their own at home. You can offer them for free or sell them. The unit price of less than £5 makes these suits a great deal. An important service for guests who value comfort and convenience. 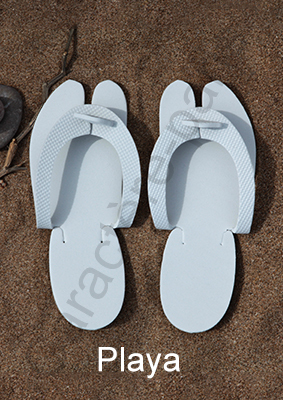 -Welcome slippers have become an essential amenity for accommodations that provide all the comforts of home. -In addition to custom orders (starting with 20 pairs), we offer a wide range of slipper sizes, in white, black, standard, deluxe and logo-personalised models. – Tranquil Nights with Inexpensive Mattress Pads Mattress protectors are a real hygiene problem for hotels. – Fortunately, economical and practical solutions exist. – An end to stains, hair or other cleaning issues, these pads can be used for over a month without a change. – Disposable, meaning time and money saved by removing the chore of washing. For our full range of products or a free estimate, please visit disposable-linen.co.uk , or call020 7193 0887. Yet again, the origin lies in the name. Thermos, the Greek word for “heat,” situates itself among many concepts recovered and recycled from ancient Greece by the Romans, who popularised the communal bath system during the fifth century BC. Initially, the Romans privatised the baths’ use for the elites, such as Senators and merchants. Ahead of their time in terms of hygiene, as with most things, the Romans discovered the basic health benefits of thermal baths by the first century. However, the use of spas on a mass scale took until the Empire of Augustus, who was advised by Agrippa to make his generals frequently take cold baths. With the trust of the Emperor won, the ‘public bath’ concept was born. The first spas spread rapidly throughout the Empire, transforming into a popular site of congregation and socialisation for members of every profession, social class and milieu. While originally known for its health and hygiene functions, the spa soon became an indispensable component for a healthy society — a sort of community centre and meeting place all-in-one, where all types of relationships and business intermingled. The sense of relaxation and intimacy provided by this place, designed with attention to architectural detail unimaginable today, was elaborated by an entranceway with restrooms, exercise areas, a primitive version of a locker room, saunas and steam rooms, and three deep basin pools filled with water of different temperatures: one hot, one warm to tepid and one cold. Through the various rooms, guests could benefit from Roman thermal baths in nearly identical ways to how visitors to the modern version of the spa do today. In continuous use until roughly the sixth century, which depended on their location, many of the Roman baths were destroyed or neglected during the disintegration of the empire. Over the Medieval period, given the mounting support for Christian morality, modesty, and the intolerance for promiscuity, the baths were often transformed into monasteries. 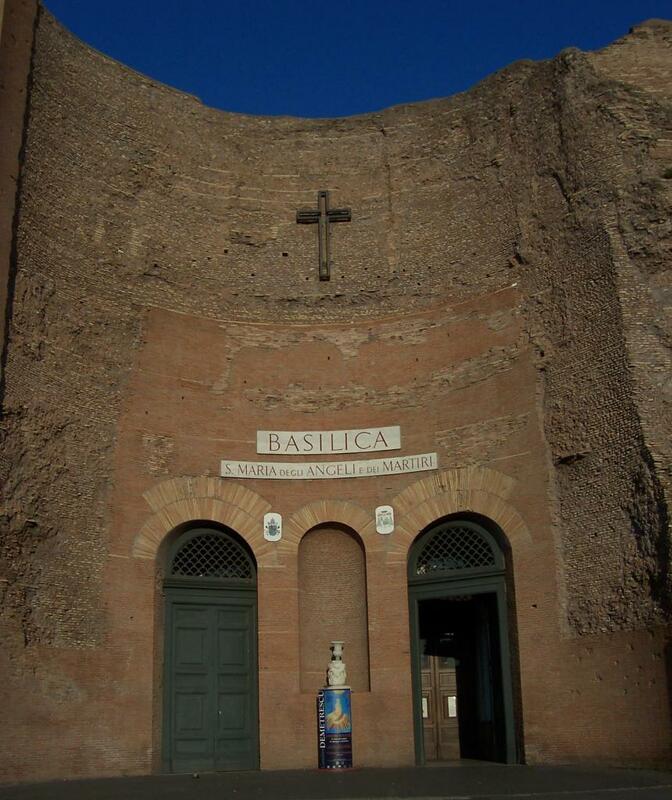 One such example is the Baths of Diocletian, the largest of any baths built in Rome, which could at one time accommodate up to 3,000 bathers, was transformed into a series of religious buildings during the sixteenth century. During the twelfth century, the repair of many older spas and the opening of new ones were undertaken, mainly in the Tuscan and Emilia-Romagna regions, which to this day remain the regions of Italy with the highest concentration of spas. The Baths of Casciana and those of di Lucca, originally property of the Countess Matilde, count among the many examples. Their use was once private, with a four week long treatment that consisted of various baths between 30 minutes to two hours, with the time gradually decreased over the period of treatment. The principle behind this very exact regimen remains a mystery, but it is believed to date back to Hippocrates’ Theory of Humours, which attempted to treat symptoms of disease with their exact opposite. For example, sulphur-rich water was used to treat skin infections, and waters rich with minerals were intended to cure infertility. The steam rooms were also a very popular cure for body odour linked to sweat. Renaissance thinkers and artisans rediscovered the classical charm and advanced theories (for their time) of Greco-Roman cultures, which put considerable pressure on local leaders, such as princes and lords, to ameliorate the former spas in terms of structural features and artistic design, but their use remained essentially non-medical, for example at the Porretta spa in Emilia. Later, during the age of imperialism, and especially after the remains of Pompeii coincidentally surfaced in 1779, a romantic vision of Roman culture led many elites of the era to want to reinterpret their lifestyle and customs. Numerous paintings on display at the Musée d’Orsay in Paris exhibit this viewpoint, where the term, “a century of the baths,” denotes the formation of a well-defined civil society. flanked by villas and boutique hotels that offer a mix of public baths and private therapeutic services, often catered by a specialized team with experience in medical treatments, physical therapy, massages and other services. While non-clinical in nature, these specialised spas advertise custom treatments and wellness programs in targeted sessions of a few days to weeks, in a naturally pleasant environment to rejuvenate both body and spirit. United Kingdom: Bath – Roman Baths; Exeter, Devon; Leicester – Jewry Wall; Ribchester, in Lancashire; Tripontium, near today’s Rugby, Warwickshire; Welwyn, in Hertfordshire; Chedworth; Fishbourne Roman Palace; and York. France: Arles – Thermes de Constantin; Glanum, near today’s Saint-Rémy-de-Provence; and Paris – Thermes de Cluny. Germany: Baden-Baden, Baden-Württemberg; Trier; and Weißenburg. Italy: Baths of Agrippa, Baths of Caracalla, Baths of Diocletian, Baths of Titus, Baths of Trajan, Pompeii (ruins), and Herculaneum. Spain: Caldes de Malavella, Gerona; Caldes de Montbui, Barcelona; Clunia, Burgos; and Lucus Augusti, Lugo. How many times have you heard the question, “I’ve forgotten my bathing suit, do you happen to have any spares”? Guests constantly pose this inquiry to hotel staff, who often must answer, to the guests’ dismay, with a simple “no.” Otherwise, they tell the guest to look elsewhere, for example in a department store or the souvenir shop down the road. A survey conducted in 2004 by Travelodge revealed that while up to 75% of tourists in Britain reported the availability of a gym plays a deciding factor in their selection of a resort or hotel, only 32% of guests actually use these spaces. What’s worse, while many consider pools important in their hotel choice, only 22% of guests ever take a dip. These figures translate into a major loss for consumers, who in turn feel disappointed by the fact that they have to pay for ever higher room prices, which must be raised by owners to support services that the guests cannot even use. According to the same study, cumulatively, travellers in the UK waste up to £186 million every year on goods and services they don’t need, want or use at the resorts and hotels where they stay. About 1/6th of that wasted money, or £29 million, is spent annually on unused wellness amenities, for the maintenance of pools, saunas, gyms and fitness equipment that sit empty and must be constantly updated to conform with the latest trends and technological innovations. How can hotel managers ensure their guests enjoy their stay and don’t regret their choice of establishment? Of course, they can do this by allowing guests to take advantage of the location’s amenities. Caractère Paris offers a variety of reusable emergency bathing suits and work out apparel for hotels to offer or sell to their clients. High end properties usually give out the bathing suits for free, considering their cost included in the price of the room. Basic level lodging can choose to charge a nominal fee for these extra bathing suits, which the clients normally won’t mind paying in order to take advantage of the amenities that sold them on the hotel. In terms of selection, there are both Two-Piece Bikini swimsuits and One-Piece “scoop” cut solids, available in a range of sizes that will fit every size and shape of woman. Caractere also offers two different styles for men, the stretchy and fashionable Brief-style bathing suits popular throughout Europe, and the less-traditional, American Boxer-style swim trunks. Between the four styles, almost every conceivable age, body type and fashion sense is covered. Available in sets of 6 or in the 50 piece starter value pack, these bathing suits become an indespensible asset to your guests. For children, Caractere Paris offers boys’ swim trunks and girls’ bikini swimsuits in several sizes. All come in black because among consumers, it’s the colour most universally accepted. Your guests will love the comfort and style of these suits, for which they’ll thank you for covering all the bases and thinking of the quality of their stay. If you want to know more about these swimsuit follow this link by clicking here.